As political pressure mounts in the nation's capital, this evening "Piers Morgan Live" welcomes the return of Donald Rumsfeld, a man all too familiar with the red-hot glare accustomed to those working under the Washington microscope. Joining host Piers Morgan "In the Chair," Wednesday's live, primetime interview marks a return to the program for the nation's two-time Secretary of Defense, as past visits have seen Rumsfeld touch upon everything from a potential US invasion of Libya, to his initial reactions to 9/11, and Israel's willingness to share information with the United States government. Amidst a week which has seen Barack Obama receive an unprecedented amount of scrutiny and criticism, the 80-year-old Rumsfeld is expected to share his expertise and insight on a collection of scandals currently facing the nation's highest office, including Benghazi and recent email links, the Department of Justice's decision to subpoena Associated Press phone records, and the IRS's reported targeting of various conservative groups, including the Tea Party. Tune in at 9 for the full, face to face interview with the man who boasts the unique distinction of having been both the youngest and oldest person to ever serve as Secretary of Defense. This man is a WAR CRIMINAL !!! He should be in jail with his buddy Bush !!! He is a traitor and I heard him on with Glenn beck of all people.. It was sad! He dodged & mentioned 2.4 trillion in defense funds (tax payer money) missing on 9/10/11. Conveniently not followed up on..... So this crap has been going on a long time. I meant 9/10/01 – time does fly but who you are does not. Totally.Like saying God has a beard. Rumsfeld dodged the entire "WMDs in Iraq" question, claiming that because everyone else agreed, it's not his problem. Unfortunately, not every other politician in government at that time had the ability to conduct their own investigations about the potential of Iraq having WMDs. At some point people have to trust the information they are given and make a decision. Ultimately, they administration acted on bad information. That's on them, regardless of who joined the bandwagon after the fact. Rumsfeld was handed a 400-page dossier when Iraq kicked off,invaluable info. Threw it in the bin. Breathless. Let's ask the thousands of Iraqis who've died about what's the scandal here. Well, let's dial that back. Let's ask just Abu Ghraib prisoners. No, no. Let's just ask waterboarding victims. Why this guy would be given any airtime at all is astounding. It makes me wonder who's funding this spin of these non-scandals into such larger than life events. This is just amazing. "If it turns out the president has lied..." You're joking, right? Benghazi: no one knew what was going on so CIA spearheaded a messaging campaign because they screwed up and trusted private security. Boom. That's on the president? 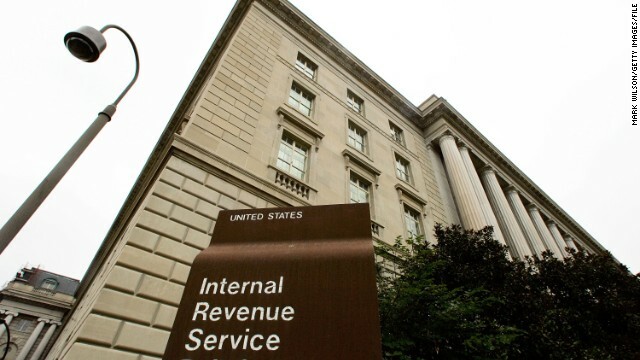 The IRS attempted to lump 501(c) applications for politically based groups because such a large number of them arrived at one time and that even the inspector general of the IRS did not qualify this activity as "illegal". Boom. That's on the president? The DOJ subpoenas phone logs, not recordings, phone logs in searching for an intelligence mole because of the release of sensitive information protected by the Sedition Act and the Espionage Act and enforced by the Patriot Act. Boom. That's on the president? You're joking, right? When Rumsfeld went off on how everyone thought Iraq had WMDs, including H Clinton, why didn't you mention that their views were formed by the 'evidence' his administration provided. Why are you letting him mouth off on Obama and not asking him more about his actions. Can you please put Obama supporters on your show to talk about this arrogant man? continually criticize him for interrupting! Rumsfield is joke, the guy is a compulsive liar. Lied about WMD's, lied about knowing about torture when Rumsfield sent James Steele who was operating these torture camps. Why do you continue give idiots like Rumsfeld air time to rewrite history? He should just go away. I did not care for Rumsfeld, so maybe I am "buying into" his rhetoric with Piers Morgan. What I liked in the interview was his seeming honesty and telling Piers to "shut-up" and let him (Rumsfeld) continue with his answer. Same goes for Ollie North:he's flogging his book too(was not so long ago,anyway). Go figure, as I feel the same way about Piers Morgan. Why do I watch CNN/Piers Morgan ? In order to hear a guest tell Piers to shut up and let him finish his answer to Piers bullying question. If I was told that if people would not tune in to watch the Piers show and the result would be that Piers would no longer be employed by CNN, I would NEVER watch his hour again. I have actually gone days without watching his hour because it was not good for my blood pressure. Are you kidding me? Donald Rumsfeld is on TV lecturing on the proper behavior of a President and morality? And No Not Everyone Agreed on the WMD's. That is sheer fantasy. Even the CIA was going to the press quietly asking for help – help – report on these lunatics before they start a war for NOTHING. I remember this on NPR for peet's sake. BEFORE THE WAR. I remember analyses of the fantastical Yellow Cake showing it simply can't exist. This was all before the war. Not on left wing website. Subversive media outlets like the conservative Chicago Tribune. I also remember the Bush Administration's IRS OPENLY declaring they were going to stop focusing audits on the upper class and focus on the middle class, because the middle class was just easier to deal with, didn't have attorneys and they paid up. Is that NOT segmenting part of the population? If anything good comes out of the Tea Party thing, maybe we can focus on who exactly gets tax breaks again? If I donate to a political group I need to pay taxes on it. Why would someone donating to a Tea Party group, who are open hyper partisans, get a break? Time to audit some of these so-called Non Political Non Profits. You know what media outlet was not reporting on the WMD fakery as it was happening and was loudly beating the war drums? CNN. Little wonder they don't want to self reflect. Can anyone tells me why every night Morgan's program starts with "breaking News". Why CNN calls old news as breaking news? Is it because CNN's rating especially Morgan's program is so low that they have to say thing like " breaking News " to attract people? To answer Jane, because Morgan is not smart enough to post the questions. My previous comment did not post ?? I was never a fan of Rumsfeld but I give him a thumbs up and Piers a thumbs down in his interview. Pierce Morgan (CNN) it was refreshing to see CNN to listen to Donald Rumsfeld make his comments as appose to forcing the CNN agenda on to their guest. Cudos to Pierce. Rumsfeld (and many of your guests) deserve respect with the collaborative effort to get to the truer, more profound and more enlightened (i.e., news) perspective. Pierce has a bad habit to talk over his guests (very annoying to the listening audience and then taking ab interrupting break) and not adding any punch to the conversation at the moment and destroying the opportunity for his guest to make his punch in the last part of his sentence. Pierce is not Charlie Rose and should take a lesson. But Pierce did very well with Rumsfeld and I enjoyed both of them. Please make a note why this went so well. A little serious feedback. I wouldn't pay any attention to what this lying b-–d says if Jesus Himself asked me to!! And I totally support the President!!! Ignorant sheep liberal commenters throughout. If a Republican did the same exact things that Obozo has, they'd be in the streets demanding impeachment and removal from office. But the sellout liberals have left their minds at home – years and years ago – and have nothing but blind loyalty (like good liberal sheep) to their Dear Leader. Pathetic wouldn't begin to describe the liberal commenters on this story. Just so beneath that there are no words. I know the comments would be better then the post! You need a crook to talk about crooked topic's.